Words from NDA Passout Candidate from Navy will surely Inspire you!!! Words from NDA Passout Candidate from INA Surely Inspire you!!! Hello Guys, I am Mohit Singh. I was commissioned for INA currently in Mumbai. Being a big fan of this website articles I asked them to share my views on armed forces so that I can too inspire aspirants who are working hard for armed forces. So I would like to thank the admin of website who allowed me to share my days of training with surely this will be inspiring for you. Do share it with your friends and loved ones so as to motivate them too. Do share your views in below comments how did you feel on this. "It was my childhood dream to join the army. 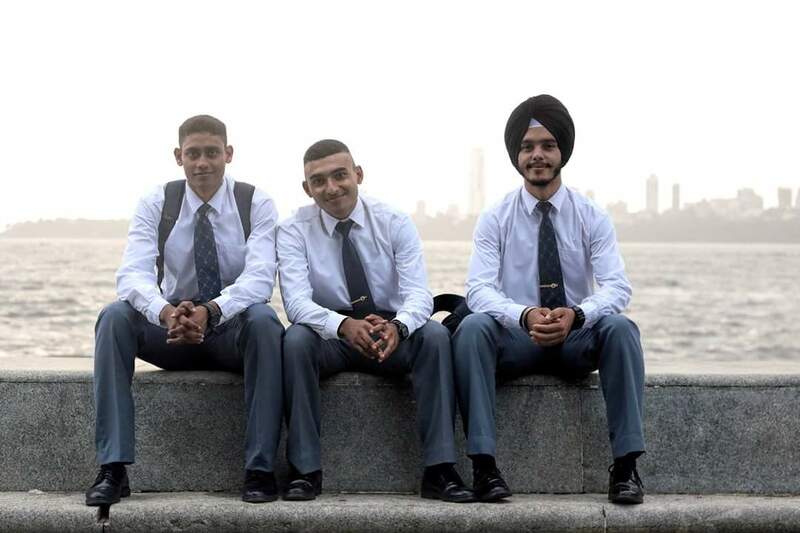 From military school and training to joining the Indian Naval Academy; I've grown up living my dream. Life in the Indian Defence Forces is very different from a normal citizen's life. We have early mornings, sea sickness issues, strict orders to follow at all times but let me tell you, a disciplined life can also be fun! I don't see it as pressure but I find pleasure following these disciplines because I know that at the end of the day - they’re made only to make us stronger. We run for crazy hours together under the scorching sun, exercise like athletes and prepare to fight like there's a war breaking out tomorrow but the friends and memories we create through this journey make the whole process fun and worth it. In the army, we don't make friends, we make family - we eat, sleep, run, watch horror movies and even bleed together. We form deep bonds of friendship which transcends all boundaries of castes and religion. We practice fighting against each other so that we know how to fight for each other. If one person in the team falls weak, everyone stops and picks up them up and carries them through the whole way, literally. There’s one memory at camp which I’ll never forget- we were all divided into groups and each group had to run to the smaller checkpoint, find the map and reach the final checkpoint by a stipulated time. We started running at 5 am and after walking 20kms we realised we couldn't find the map for the final check point so we returned back to our base camp. On reaching the site we were told that giving up was not an option — we had to go back and couldn't return until we completed the task. We walked another 25kms in vain; we still couldn't find our way to the final checkpoint. We returned to the base camp trying to explain that we earnestly tried. It didn’t matter - we were sent back and this time we found the final checkpoint but it was after a 40kms run. We returned to the camp at around 11:30, victorious. This is why I love the navy; training isn't only given to us in classrooms but instead the message to never give up was etched in us. I'm currently 21, freshly graduated from the Academy and only recently joined the Indian Navy…but the second I put on my uniform, the whole wait has been worth it. It’s a coat that envelops me with the feeling of responsibility and pride. When I felt tired and stuck in my struggles during the day, I often ask myself that what's the point of putting myself through such hardship at this age? But every night I get my answer - I sleep with contentment because I'm convinced that there is no greater privilege than dedicating my life to serving the nation. My life is the smallest contribution I can make to the Country that has given me everything." So this was all about my days. I tried to keep it simple and short but couldn't stopped writing while rembering my training days. Hope I would have inspired you for your goals. Keep working hard surely you will get what you are working for. Keep following Jobsfundaz.com for SSB articles they have written articles amazingly. Labels: Words from NDA Passout Candidate from INA Surely Inspire you!! !